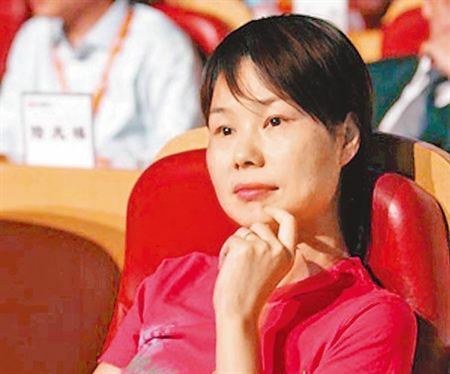 Zhang Ying is the wife of Ma Yun, the billionaire founder and former chairman of Chinese internet giant Alibaba. Zhang met Ma at the Hangzhou Teacher’s Institute, now known as Hangzhou Normal University, when the two were students. The couple married shortly after graduating in the late 1980s and both began working as teachers. “Ma Yun is not a handsome man, but I fell for him because he can do a lot of things handsome men cannot do,” Zhang said. Despite being named as one of the 10 best young teachers in Hangzhou, Ma decided to quit his job and open his own translation company. In 1995, Ma started China Yellowpages, widely believed to be one of China’s first internet-based company, before setting up Alibaba, China’s first business-to-business commerce website, in 1999, along with 16 other partners.Zhang also quit her job to support her husband and join Alibaba as the company’s “political commissar.” However, Zhang said she spent most of the company’s early days cooking meals for the attendees of her husband’s impromptu meetings at all hours of the day and running odd errands. All the time and effort Zhang and Ma spent on Alibaba took its toll at home. Zhang admitted that they had effectively “sacrificed” their son, born in 1992, for the sake of the company, sending him to child care five days a week and only seeing him on weekends. In 2002, when Zhang was the general manager of Alibaba’s China headquarters, her 10-year-old son became addicted to online gaming and spent most of his time in internet cafes. He told his parents that it was pointless coming home because they were never there anyway. Concerned about their son, Ma asked Zhang to step down as general manager and re-dedicate herself to becoming a full-time housewife. Our family needs you more now than the company, Ma had told her, asking her to choose between money and their son. At first, Zhang was not happy with the request. She said she felt like Ma was treating herlike a chess piece — when they first married she had been set on becoming a housewife, but was “tricked” into joining Alibaba, but when the company finally became successful he wanted her to go back to being a housewife. Eventually, Zhang learned to embrace the role. She now starts off her day making breakfast for her son before taking him to school and heading out to buy groceries and prepare for dinner. Ma has been appreciative of Zhang’s sacrifice and attibuted his success both at Alibaba and at home to her. “She helps me a lot with my career and family,” he said. Alibaba is now one China’s number one e-commerce company with a market value of US$4 billion.